Salt Tapas & Bar has been around since when i first started blogging. For a food establishment that has been around for this long in this crazy competitive food scene in Singers, you know that it has to be something. 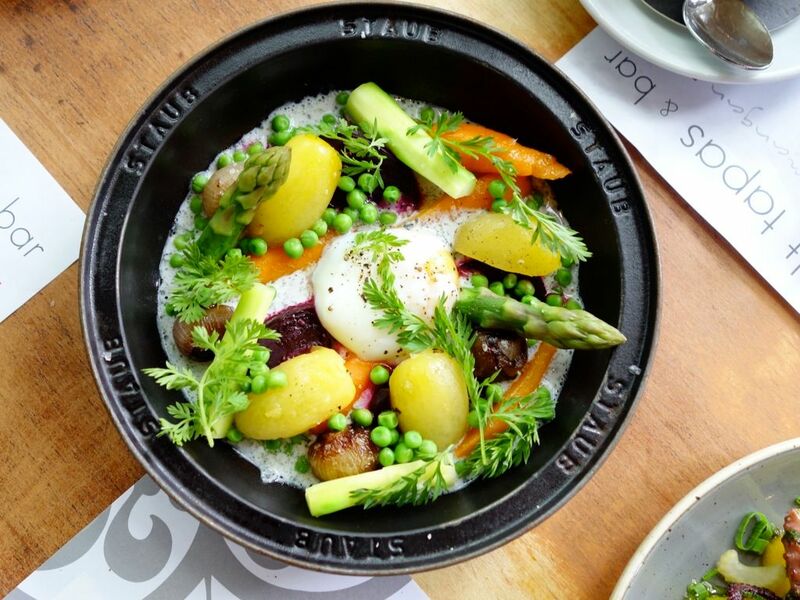 The high standards of food, made with quality produce; laid back Aussie vibe; and attentive service, have the customers coming back again and again. Under the new Head Chef Jake Kowalewski (who cut his teeth working up the ranks at Luke Mangan as a dishwasher! 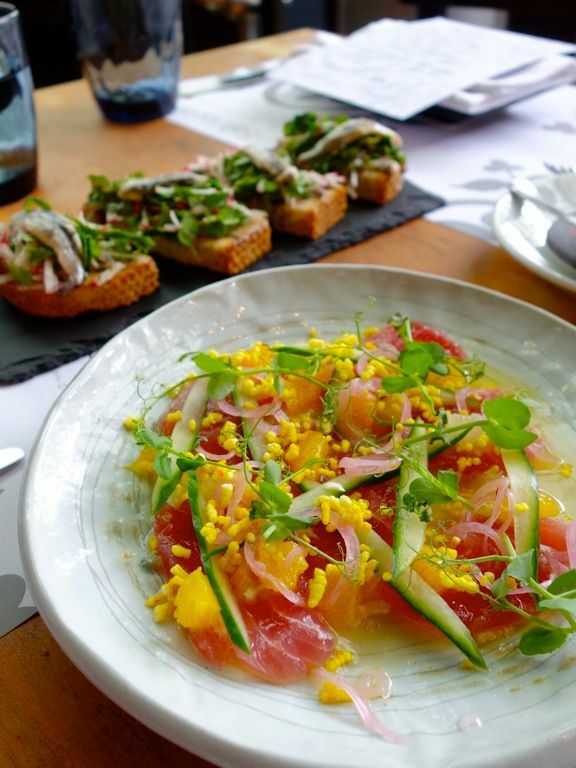 ), the tapas menu has been revamped to feature pretty and hearty plates and there's plenty to love from this list. We started with some refreshing seafood plates. The Cured Tuna ($17) was dressed with spring onion, cucumber, pickled shallot, puffed rice, citrus. I love the bright and juicy flavors. If you like something that has a little more tang, then the White Anchovy on sourdough ($14) will suit you. This was surprisingly not too salty or fishy. 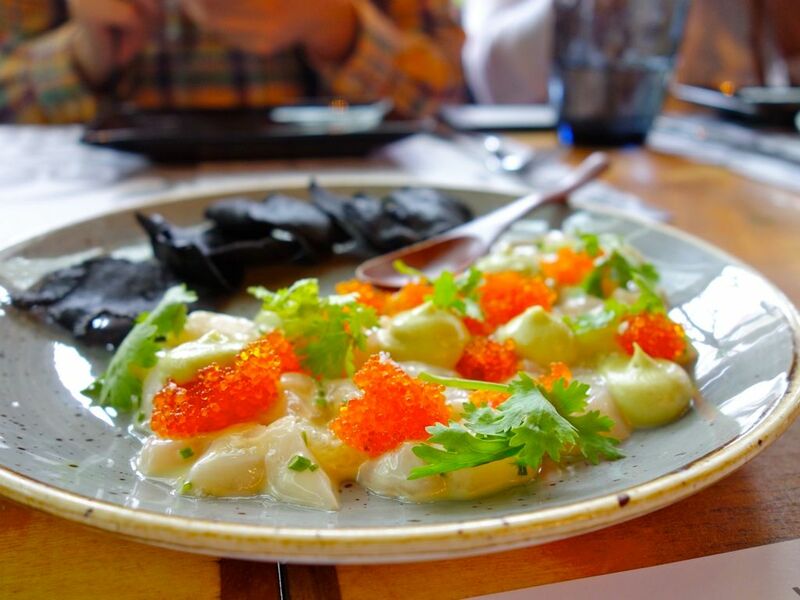 A delicate seafood starter would be the Scallop Tartar ($19) which is a pretty mosaic of plump pink, creamy green (avocado), orange pops (tobiko roe). Send them into your mouth on those squid ink tapioca discs! I can never resist cheese and the Burrata with smoked tomato jam ($19.50) has gotten my stamp of approval. 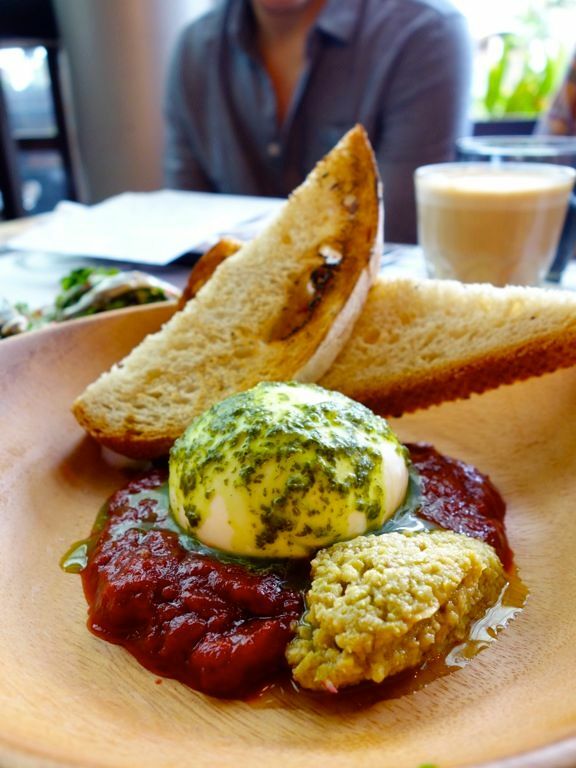 The silky milk ball was contrasted with a sweet tomato jam and refreshing basil pesto. I think it makes a perfect brunch dish for one with that lovely sourdough. Some greens are certainly needed and we adored the Warm Vegetable Salad ($14) with slow cooked egg, buttermilk and truffle dressing. Such a pretty garden isn't it? Onto heartier stuff. 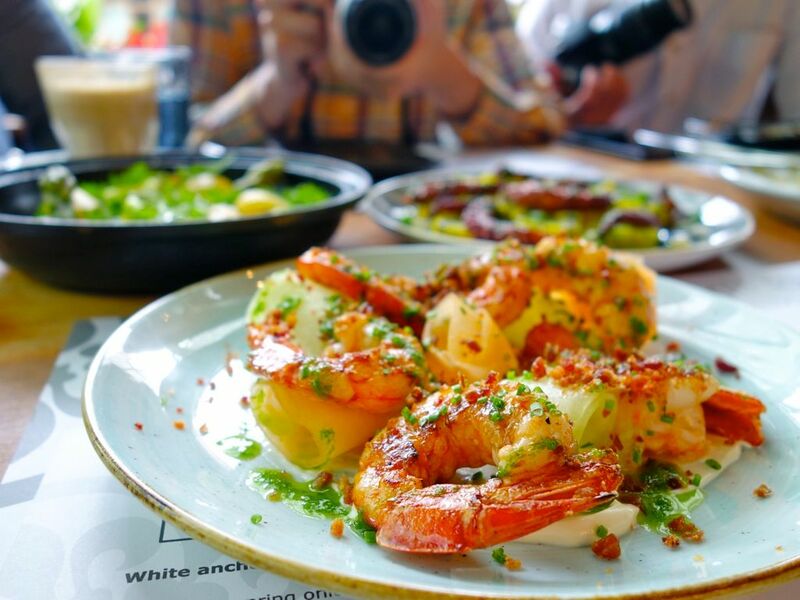 Definitely the Chargrilled Prawns ($24)! Love the smoky and rich flavors of the shellfish. The jamon, melon, and labneh combination was perfect for this dish. A must order! 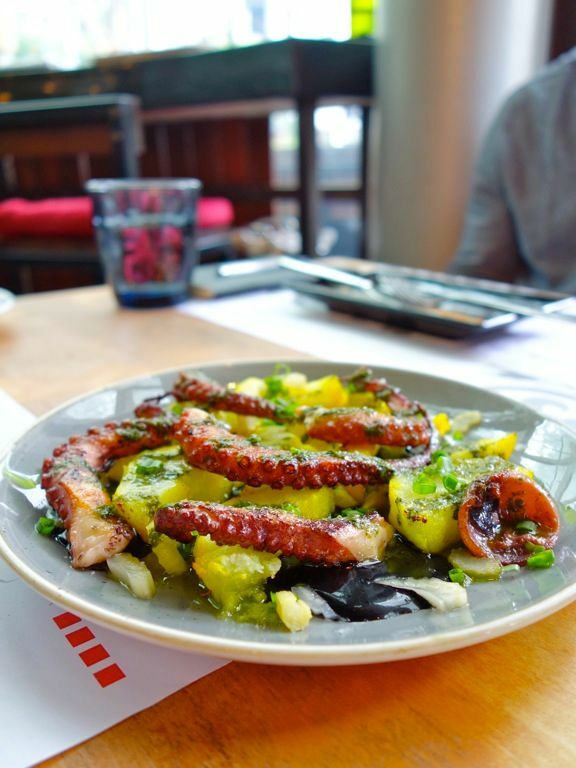 The Slow-cooked Octopus ($27.50) was perfectly executed as well with a clean bite and crisp coat. The ink aioli may look daunting but it's absolutely delicious. Plus that starchy saffron potatoes were a hearty accompaniment as well. 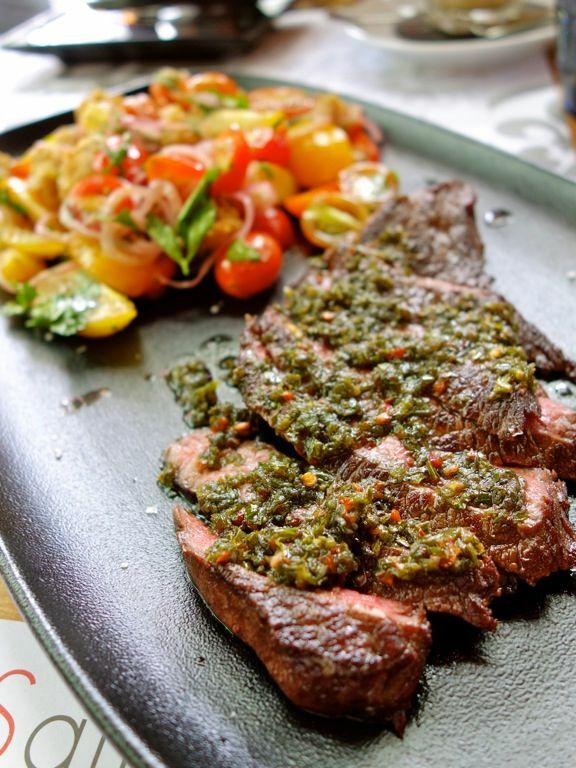 We definitely need some real meat to go with any meal and the Wagyu Rump Cap 180g ($39) with green chimichurri will satisfy. The side of tomato & bread salad provided that refreshing contrast with the tangy balsamic dressing. 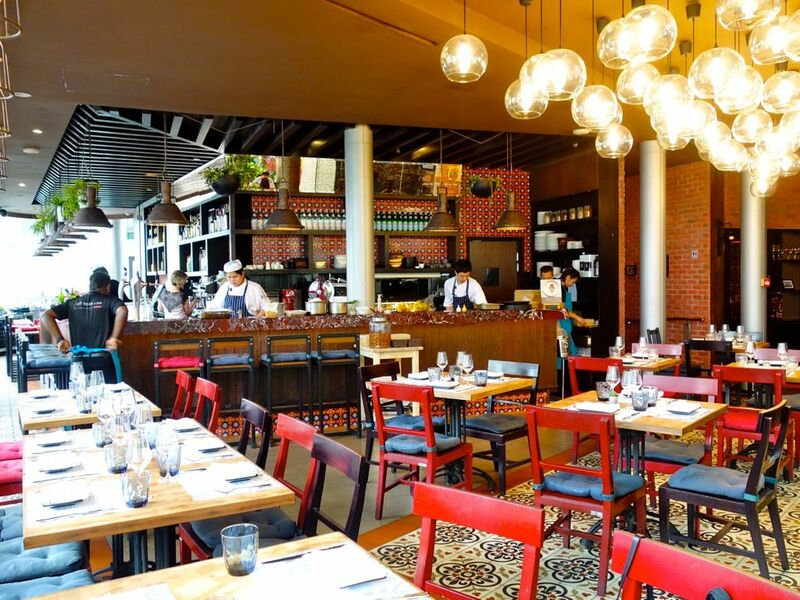 But if i have to choose just 1 meat dish, then the Spanish style Lamb Kofta ($25) would be it. Hearty, comforting Mediterranean food makes me so happy. 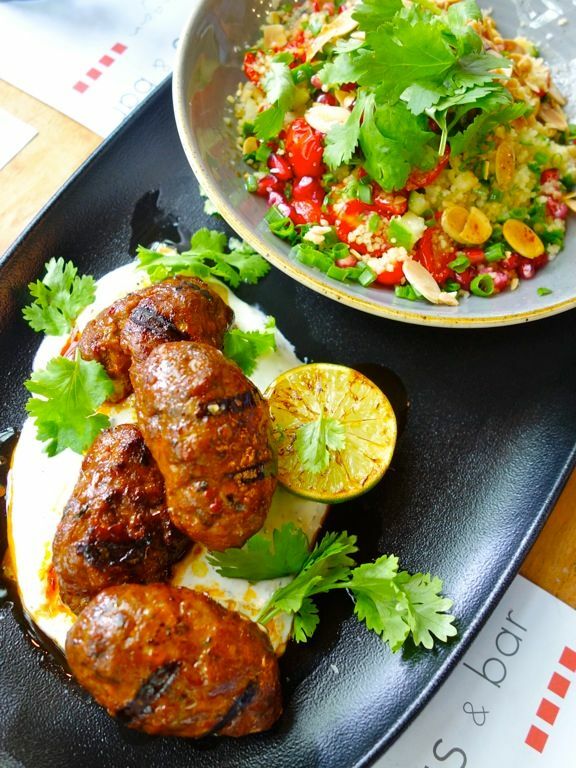 Love the spices in the juicy lamb meatballs, and the side of fluffy couscous tossed with tomato, cucumber, pomegranate, lemon and mint yogurt. Perfection. 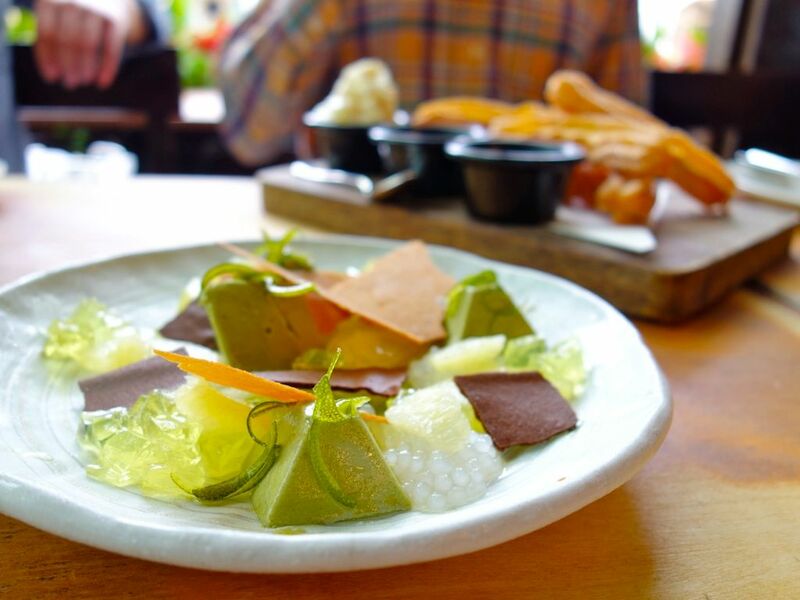 End your meal on a sweet note with the 2016 version of the Liquorice Parfait with lime ($14). Only Luke Mangan can make me eat liquorice. 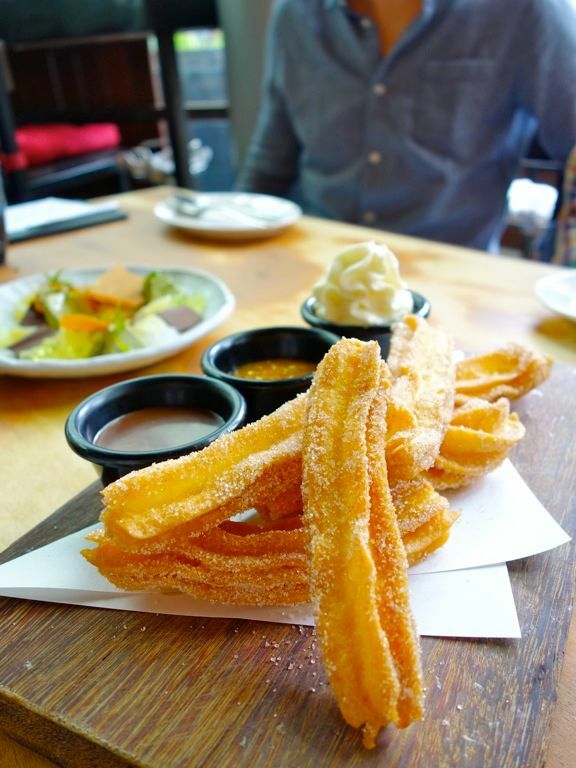 Before there's the Korean churros craze, there was Luke Mangan's crunchy Churros ($14) paired with nutella sauce, vanilla chantilly, and orange marmalade. If you prefer the denser sort, you may not enjoy this that much but we couldn't stop double dipping into the sauces.